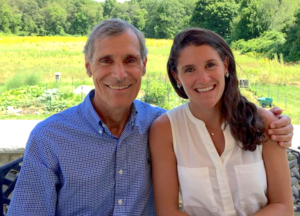 John and Julia Paino are a Boston-based, father-daughter duo giving back to the community while tackling the snacking problem with their brand, Swoffle. In the past year, Swoffle has donated over 50,000 free meals to those in need. 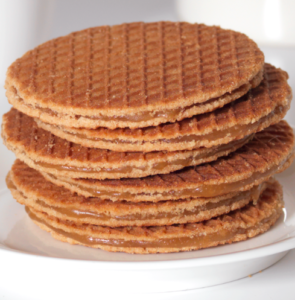 Find out how this RangeMe Verified™ brand highlighted the tenets of their business and delicious stroopwafel-inspired Swoffle cookie to catch the attention of buyers at Heinen’s Grocery Stores. Julia and her father John Paino, a veteran in foreign food product innovation, tested more than 300 recipes before developing their final product. 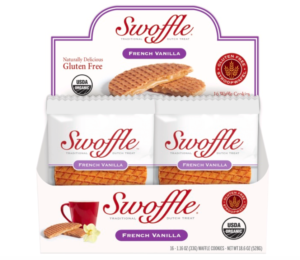 The Swoffle is based on the Dutch waffle cookie, stroopwafel, which is traditionally placed over a warm beverage to heat up the gooey caramel center. In addition to having less than 10g of sugar, the individually wrapped snack can be enjoyed regardless of dietary restrictions due to the organic, gluten-free, and non-GMO formulation. Once they perfected Swoffle’s recipe, Paino began developing a brand awareness strategy heavily rooted in testing and feedback. the team landed a couple of distributors with their business development tactics. They also brought on a group of brokers specializing in organic brands to hone in on their target market. In search of more growth, Paino created Swoffle’s brand page on RangeMe in March of 2016. Swoffle’s impact-driven nature, a reflection of the Paino family’s values, is highlighted in the About section of their RangeMe brand profile. Heinen’s Grocery Store, a family-owned grocery chain with 23 stores in Ohio and Illinois, sought Swoffle out after coming across their profile on RangeMe. “The buyer from Heinen’s saw the products, loved the mission, and reached out for samples. Our products made it onto shelves in all of their stores in August 2017 and are performing tremendously well,” says Paino. 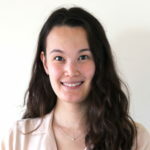 Julia Paino is grateful to have found RangeMe. “It’s an online solution for buyers to source emerging brands, that customers are interested in but don’t necessarily have the budget to fly cross-country to attend a tradeshow,” Paino remarks. “RangeMe has done a fantastic job providing an introduction to our brand. Having upgraded to RangeMe Premium, we’re excited to be on-boarded by a RangeMe product specialist and see what’s in store for Swoffle.” As an ECRM attendee, Swoffle also looks forward to attending future EPPS sessions to enhance their retailer placements. Swoffle continues to grow as a company, and they are excited to launch two new flavors in the coming weeks. As a RangeMe Verified™ brand, Swoffle will explore more partnerships in the new year.